Welcome to Wow Us Wednesdays. I sure hope your week is going well? There were lots of great links last week and here are just a few features. Last week I shared: Bed Makeover, Liberty Antiques Part Two, Love It Or Leave It, and my Fall Entry. October is breast cancer awareness month and this is such a touching story about how a group of ladies came together to help. Cute camper with before and afters shared by Cornbread and Beans Quilting. Clockwork Interiors made some cute art for her laundry room. These two are avid DIYers and always do fabulous work. Look how they added a closet. Pretty fall vignette full of texture by Just Jan.
Find the recipe for these award winning apple dumplings by Blue Ribbon Kitchen. The most viewed link last week was Yvonne's beautiful fall tour. Thanks to everyone who partied here last week. Thanks for the party, Kim! I always enjoy linking up! Hope you're having a great week! Great features Kim. 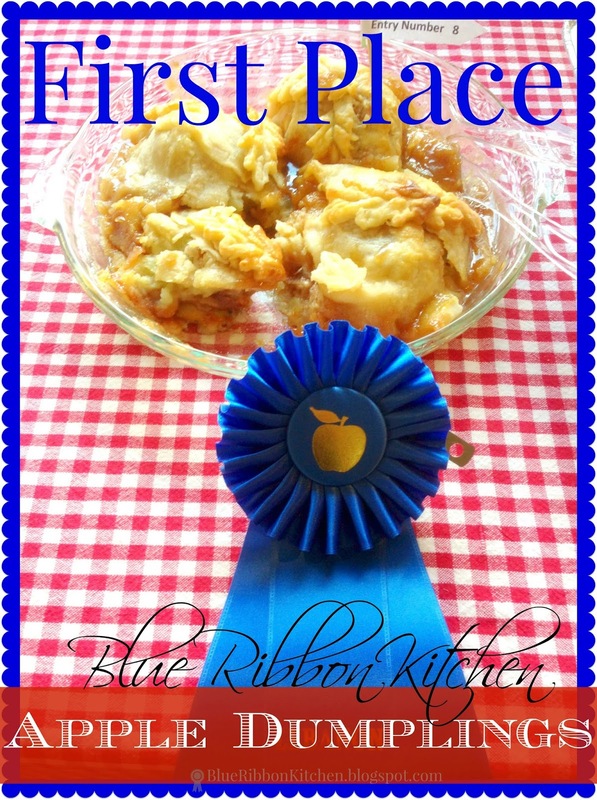 Will have to try that blue ribbon apple dumpling recipe! Thank you so much for hosting and have a wonderful week! off to check out all of your features. Ciao! Wonderful features Kim, love that camper! Thanks for hosting! Thanks for hosting Kim. Have a great week! Thanks for hosting Kim! Love the new picture of you! Thanks, Kim. Always a fun party! Kim, that's such a cute profile picture of you! Thanks for the party. Thank you for hosting, Kim. It is always such a great party. Thanx for the party Kim! Did you change the time and I missed it? Thank you for having the party each week -- and that new photo of you is so cute! Love the features! Thanks for hosting again, Kim! Who wouldn't like to have a camper like that? So cute. Thanks for the party, Kim. love the camper and the party :) Thanks for hosting us! Thanks for hosting, Kim. I love your Fall entry decor. And who is that pixie like creature on your blog profile? Soooo young looking and cute! Good for you. Your new pic looks great Kim! Love the hair! Thanks for hosting! Thanks for hosting Kim! Love your new profile picture too, you look so pretty with your haircut! Thanks for hosting, Kim! Love your new profile picture! Have a great week. These are some great features, Kimmie! Thank you so much for hosting and I'm so glad I can join your party today! Thank you for the link up, I have added some weekly inspiration, a few gluten free recipes an interior and some great diy homeware that I discovered. I have already visited one of your links 'hospitality designs', I love her bedroom makeover reveal. I am currently in the middle of mine and leaning towards the lovely blues she has used on her bed. I also like how she has mixed the blue with coral colours. Off to look at some more links. Thank you for the feature! Looks like another great party! Thank you for hosting! Thanks for hosting the party. Love the features. The Fall vignette on the porch really struck a chord with me. Thanks for hosting! Great features! I see there is lots of terrific eye candy to check out again this week! Such fun camper! Thank you so much for hosting. Love the cute camper, thanks for hosting! Thank you for hosting. You look great in your picture! Have a wonderful day! Thanks for hosting and for featuring my laundry room art--I appreciate it! p.s. LOVE the pixie cut! Thanks dear friend for your wonderful shout-out!!!! Now I'm off to see all the inspiration you have here this week! There's no shortage of ideas here, thanks Kim! Thanks also for the party - always look forward to Wow Us Wednesdays. running late this week, thanks so much for hosting, Kim! Hi Kim! Thanks for featuring my little camper remodel! My Mom and I are avid readers of your blog and enjoy all you do!! Thanks so much for hosting, Kim! Always a pleasure to be here. Enjoy your day!